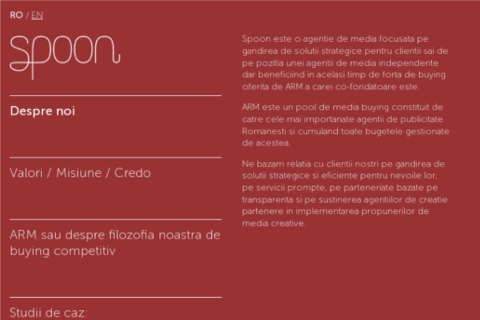 Spoon is an independent media agency, co-founder of A.R.M.- Romanian media agency. Objective: Develop a presentation website using the layout provided by the client. Solution: A clean, easy to navigate presentation website with the focus on the content. Internal application development and maintenance for Nextgen Communications.